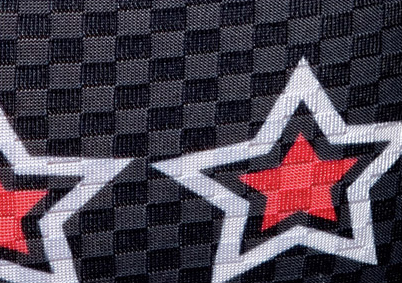 While it may not make you Tour-worthy, Pearl Izumi says it has created an advanced bike-jersey material that can purportedly make you faster. The new Performance and Race Optimized material — P.R.O. for short — is said to form an air layer on its fabric face when a rider is in motion that then allows moving air to more easily pass over your body, resulting in less drag. The company says it works much like the dimples on a golf ball, which create a similar drag-reducing design. The limited-edition P.R.O. fabric, which was designed by the company’s “Speed Shop” developers, incorporates the same technology used by the Garmin Slipstream pro cycling team. 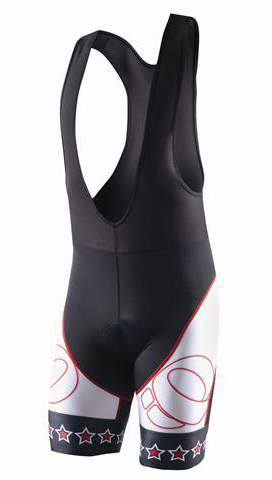 The aerodynamic jersey material, which is also available in the form of limited edition bibs, was designed after countless hours of wind tunnel tests and athlete trials, Pearl Izumi says. The fabric consists of a grid-like pattern that collects air in its tiny squares. With the nearly-stationary air stuck in the squares, moving air around a cyclist has an easier time passing over, resulting in less drag, the company says. In recent years, much of the aerodynamics focus in cycling has been on bikes and helmets. But a rider’s body is what creates the most drag. Pearl claims its new material fixes that. “It’s the hardest pattern we have every produced,” said product developer Jennie Yu. While the fabric was designed for pro racers, the company claims these cycling clothes can enhance any racer’s time — even if it is only by a second or two over distance. Another claim: Pearl Izumi estimates over an hour of cycling you can gain up to four watts of power just by wearing these clothes. Whether or not it works as claimed may be nearly impossible to test for the average rider not in a wind tunnel. And with a price tag at least $50 more than other jerseys and bibs on the market, the gear may be out of reach for many riders. 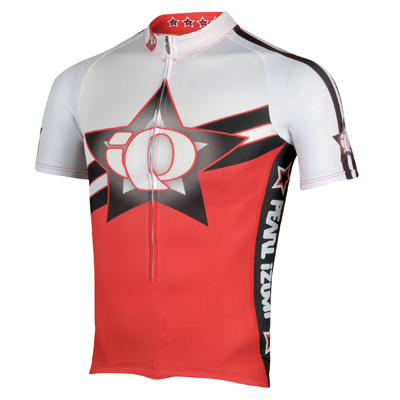 But it’s not a jaw-dropping price tag, guaranteeing that some riders will suit up just for the jersey’s potential edge.